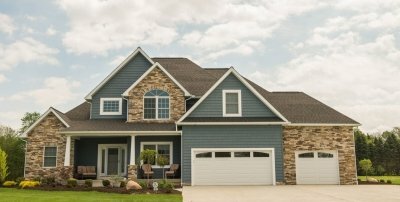 It sounds like an easy question to answer, but with a lot of choices in the Erie market, you might want to consider all your options. Here are some quick tips on what you’ll want to evaluate before you make a commitment to build, buy or rent. It’s a tough decision. You can build a home in 90 days to six months in the Erie area and get everything you want by choosing a builder who has the resources you need: available lots in the location you want, floor plans perfect for your family, a design center where you can make all your choices in one trip and a promise to finish construction in the amount of time that works for you. Energy efficiency is also a big reason to consider building, especially in a climate with harsh winters. Maleno has 40 years of experience in this market and uses that experience to help guide customers through the many choices. “Many people are apprehensive to build because it can be overwhelming. We have simplified that process by offering our customers a personalized experience completed on time and on the budget,” said Dominic Maleno. You may decide to buy an existing home for many reasons -- it’s your first home, you need to buy a home in a new market quickly or you have your heart set on an already built up area. A Realtor can help you find the floor plan you want in a neighborhood you love, and he or she can help you narrow your choices out of the more than 1,200 homes currently on the market. A Realtor can help you choose a home in a price range you can afford in a location that suits your lifestyle and personal needs. Renting is a more common choice for younger adults – 43 percent of people under age 30 rent, compared with 22 percent of those 45 to 64, and 16 percent of those older than 65, according to the National Multi Housing Council, a Washington trade group. One reason is money. Homeownership requires a down payment, typically 10 to 20 percent of a home’s purchase price. Plus there is the annual property tax bill as well as annual maintenance costs -— anywhere from 1 to 4 percent of a home’s total value, according to HSH. com, a real estate publisher. Renting also offers the freedom from certain chores, such as painting the house, or other bothersome maintenance tasks, like fixing the plumbing. If you’re new to the Erie market, just starting out on your own, or starting over, renting gives you the opportunity to test-drive a neighborhood. You might want a place that’s close to work, your favorite recreation area, gym, or your children’s school. Or maybe you want a rental that offers all the amenities of a home without the responsibility of home ownership. Or maybe you need a leased unit that accepts pets. Before you make a decision to build, buy or rent, speak to someone who can offer you advice on all three. No matter what age you are, you will probably consider these options more than once during your lifetime. So, work with someone now who can help with decision-making.